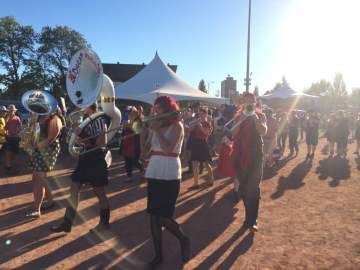 We’ve just seen and enjoyed the Vancouver Craft Beer Week Festival at the PNE Fairgrounds as it celebrated its 9th year. 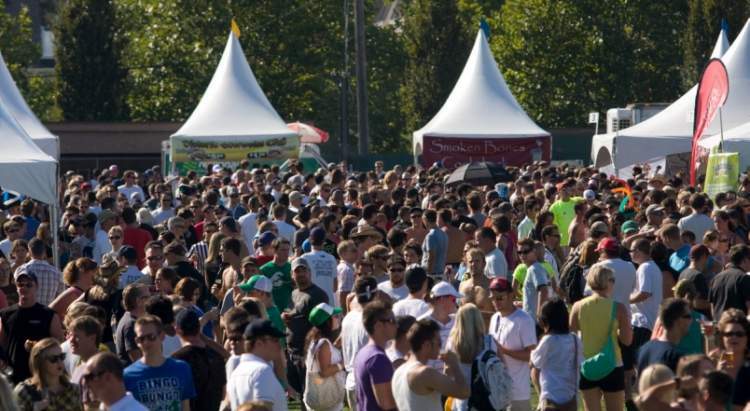 Now, just over the summer events horizon, awaits the inspiration for most of BC’s outdoor beer gatherings. 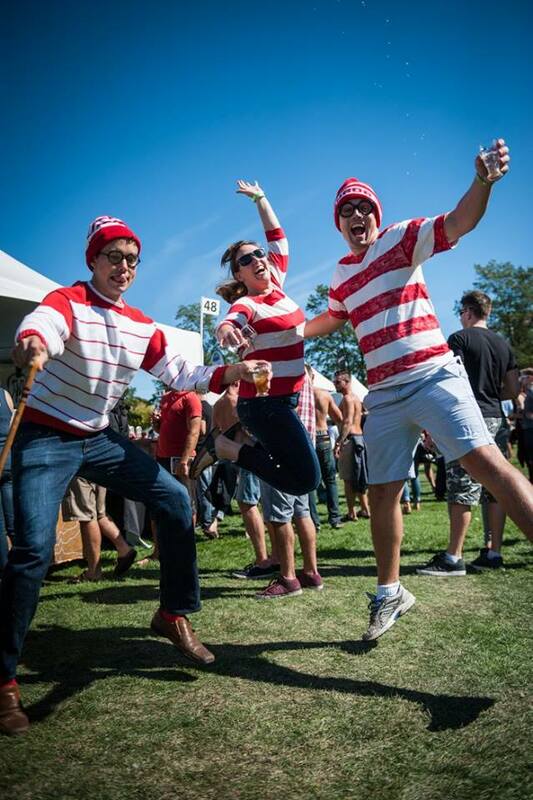 It’s the Granddaddy of them all: the Great Canadian Beer Festival, Canada’s longest-running craft brew party. 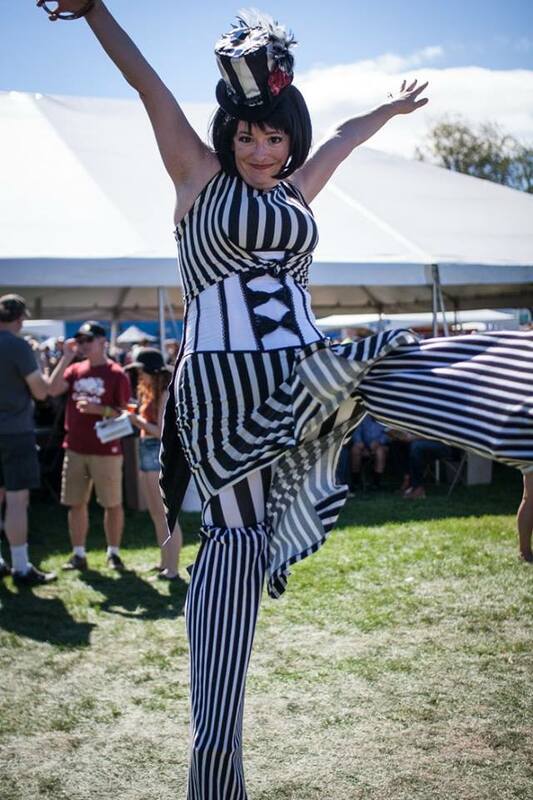 The 26th Annual event is slated for September 7th & 8th in Victoria BC, with tickets on sale beginning Saturday June 16th. If you haven’t been to this festival before, that’s reason enough to attend. 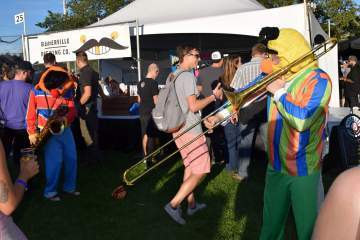 You wouldn’t be reading this if you didn’t appreciate good beer, and there’s no better reason to go than the fact that GCBF is the ultimate tradition for BC craft beer lovers. 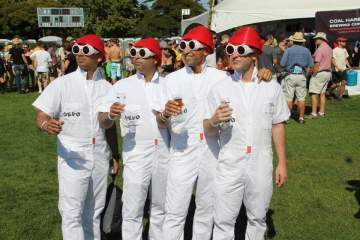 It’s a place where countless devotees learned what a true beer event can be like. But let’s say you don’t think “tradition” is a good enough reason to make your way to Victoria for one weekend in September. No sweat; we’ll find you a reason to go. 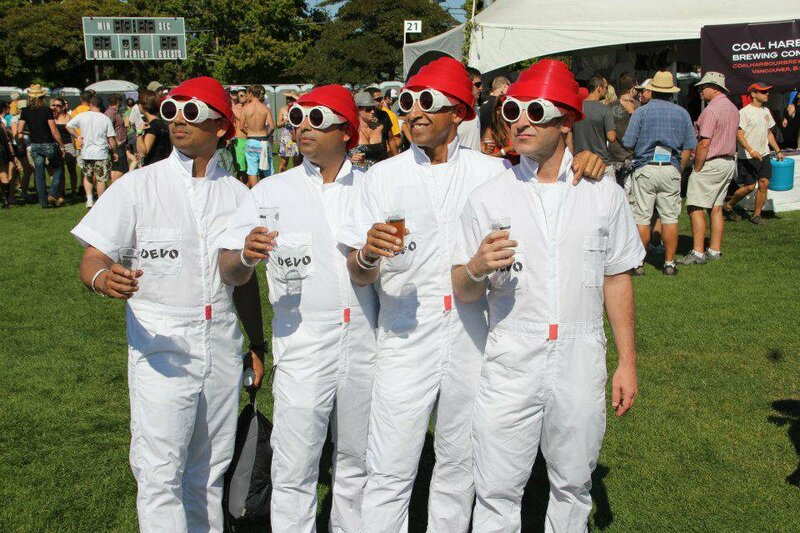 Here are the What’s Brewing Top Ten Reasons to Head to Victoria for GCBF. 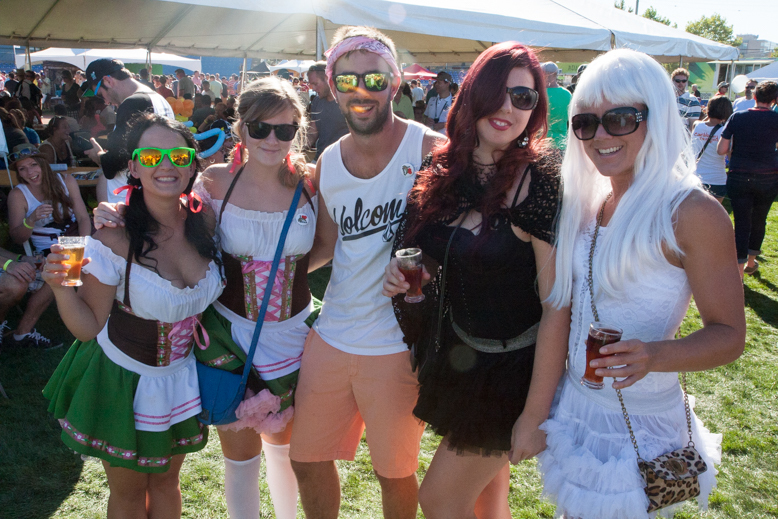 The Great Canadian Beer Festival is truly an award-winning event. Of course the locals are proud of it, but it’s not just voted best in Victoria. 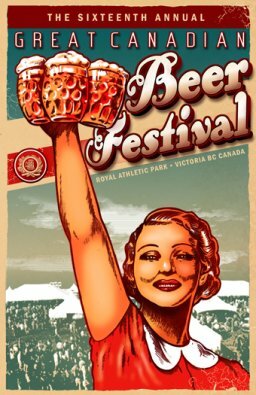 It’s won the Beer Me BC People’s Choice Award for Best BC Craft Beer Event in all three BC-wide surveys to date, from 2015 to 2017. OK, let’s find out why GCBF has earned that type of recognition. 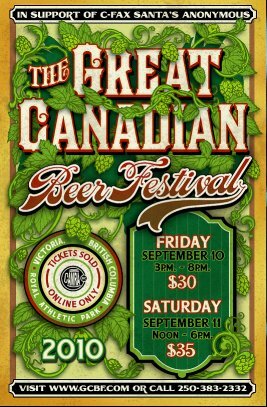 One defining characteristic of GCBF is its beer menu, curated by festival co-founders Gerry Heiter and John Rowling. Check out the personal commitment to excellence shown by the Brewsome Twosome in John’s WB article, GCBF Research Department Road Trip. Another longtime Director, Phil Atkinson, puts together the festival programme, which is an actual printed guidebook to all the beers, with a map and descriptions. Most festivals don’t do that. It’s a great asset to have for newbies and veterans alike, and thanks to recycling, having a printed booklet is guilt-free. 3. May I Cask You a Flavour? 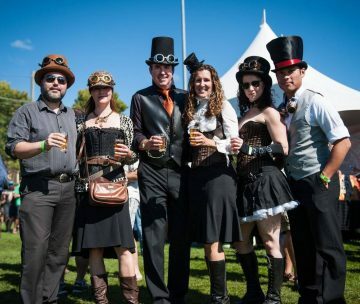 Certain BC beer festivals are known for promoting the use of casks to serve unique and one-off beers. 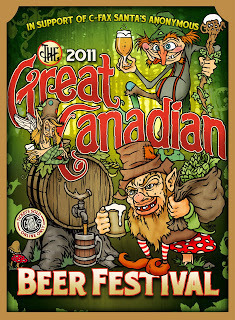 Many GCBF brewers bring special treats each year, often in cask format. Browse through our must-drink shortlist from a recent GCBF for examples of highlight beers we looked forward to; stay tuned for our 2018 shortlist closer to the time. 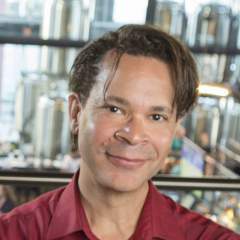 GCBF has a really cool beer ethic. This festival is respected by the breweries because they know they’re dealing with the originals. As a result, the owners and brewers of many, many those curated beers will actually be at the festival, proudly repping their brand and available to talk about it. GCBF is held at Royal Athletic Park, a baseball field. 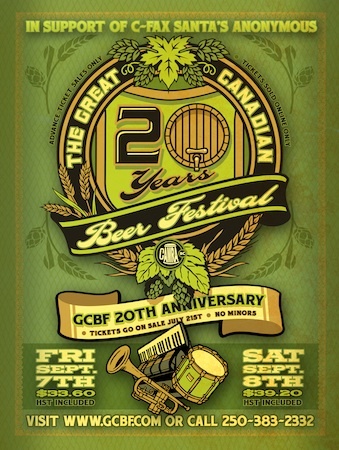 When GCBF went outdoors in 2003, it created a BC blueprint–copied and adapted more than once–for how beautiful a beer festival can be. 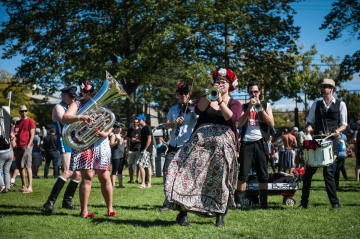 Thanks to usually-cooperative weather, it’s an idyllic sensory experience on green grass. 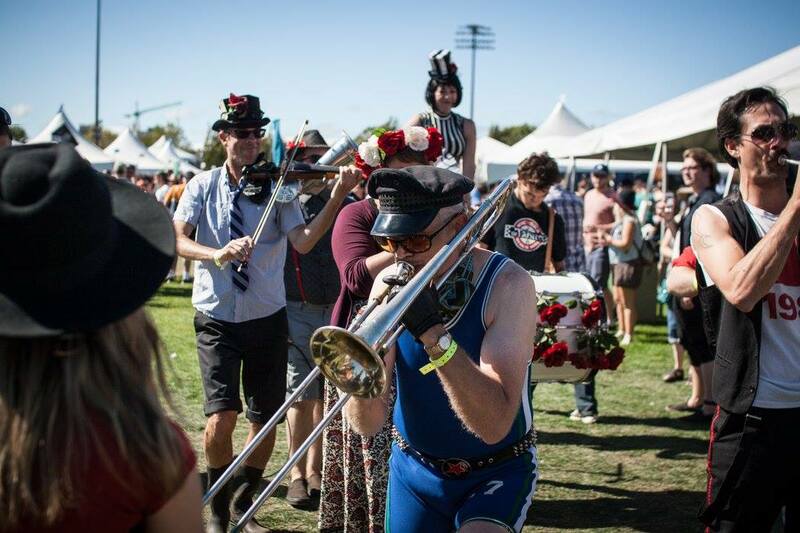 GCBF features some of the most fun roaming musical entertainment. 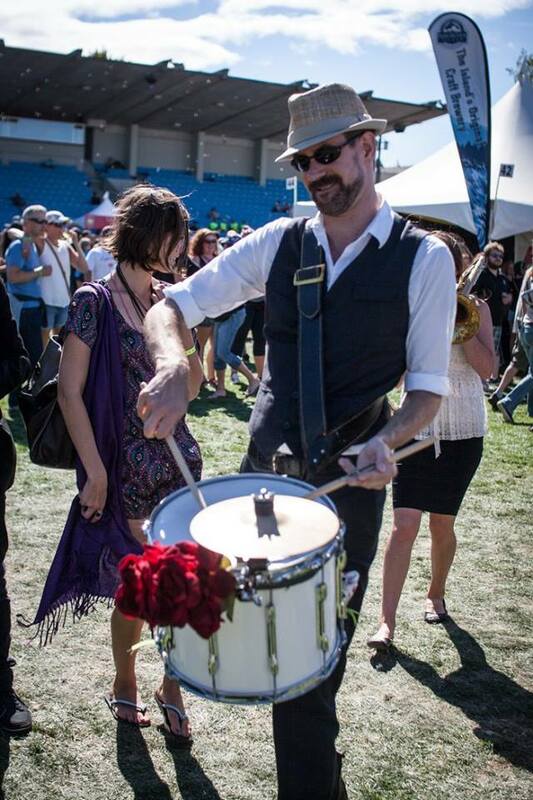 No massive concerts, just talented folks with amusing instruments making you smile. In the same spirit, you’ll see more costumes here than any other BC beer event. 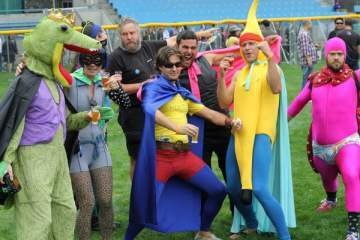 Revellers cast aside their inhibitions and come wearing everything from lederhosen to chicken suits. So dress up for the occasion! Get your group to coordinate your colours so you can find each other easily. Prepare to be in lots of photos! 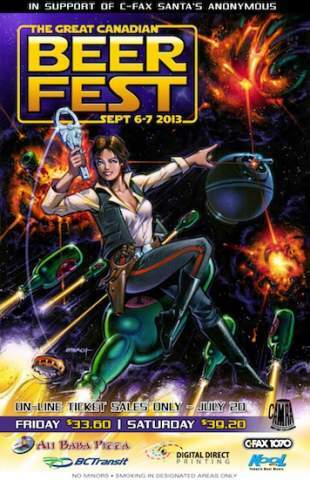 One of the many signature elements of GCBF is its tradition of commissioning unique artwork each year. 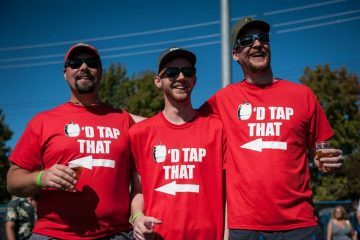 Past events have featured outstanding illustrations like the ones displayed here, which make for some of Canadian beerdom’s most highly prized and collectible t-shirts. 2018’s standout graphics were created by the brilliant Adam Ball of Factor Creative in Duncan BC. 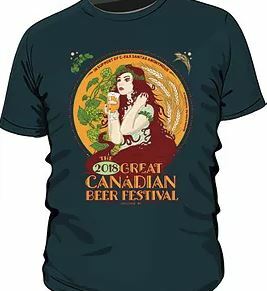 If you visit GCBF this year, be sure to grab yourself a shirt displaying his beautiful handiwork ($20) before they’re all gone. Also, Adam just might show up and sign a limited run of the classy posters you’ll find adorning page three of our current magazine. I just named a few of Victoria’s best-loved pubs. But what about the city’s classic craft breweries? 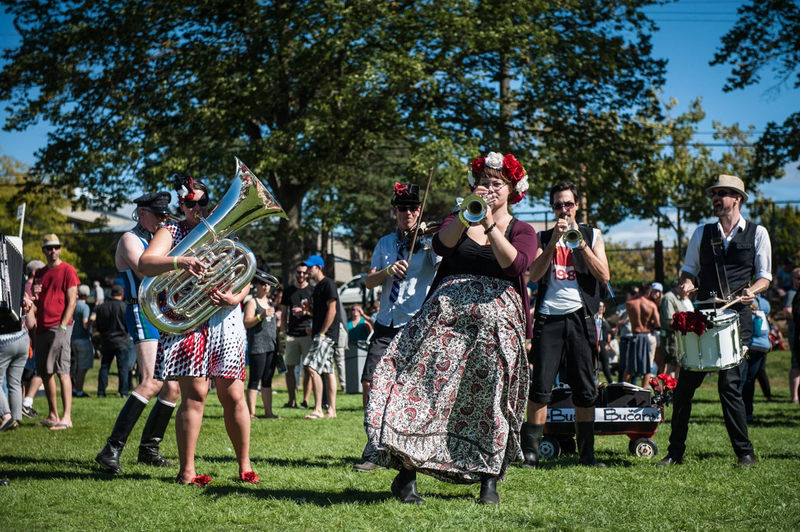 Since you’re smart enough to plan on hitting town early, you’ll have time to do the stroll around the harbour and stop for a pint along Victoria’s “Beer Mile”, at Swans, Canoe, Phillips, Vancouver Island Brewing, Moon Under Water, Driftwood, Hoyne, Lighthouse and Spinnakers. And maybe by the time you get there: newcomer Île Sauvage. That’s another Top Ten reasons right there. Victoria is home to North America’s first brewpub, Spinnakers Gastro Brewpub & Guesthouses. A few years after Spins opened, Swans Hotel & Brewpub set up shop. Along with Squamish’s Howe Sound Inn & Brewing Company, they make up BC’s classic brewpub hotels. We’re very fortunate to have them. If you haven’t stayed in them please do; many of the rooms in these historic buildings are an amazing treat just to occupy. Suffice to say in this short piece that as a beer lover, you may never enjoy a hotel more. When the Festival wraps up Saturday, don’t just drink up & leave town. Remember that Victoria is an amazing tourism destination, and that’s why your parents took you there as a kid. If you’re beered out, take in the touristy stuff along the harbour, check out the Public Market, Chinatown, and a host of other options. And of course there’s Butchart Gardens on the way back to the ferry. 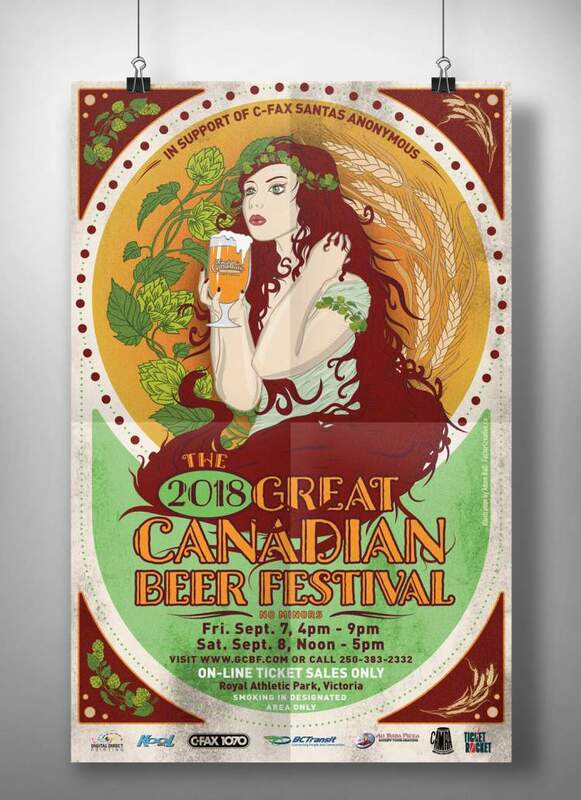 This list goes to eleven, thanks to the fact that your dollars spent on GCBF–which is operated by the non-profit Great Canadian Beer Festival Society–are going to a good cause. First, the festival actually buys all the beer from the participating breweries, which isn’t the case with every event out there. Then, surplus proceeds go to the CFAX Santas Anonymous Society, which does good work for families in Victoria living with poverty every December. 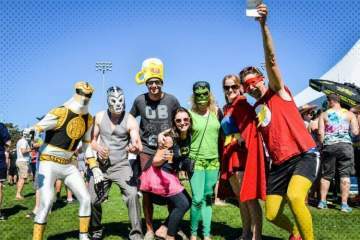 Many other beer festivals are produced commercially by professional event management companies, and we don’t have a problem with that. But we save special respect for volunteer-primary teams like the GCBF Society who can pull off a great event and put significant funds into a charitable cause. TICKETS on sale Saturday June 16, 2018. 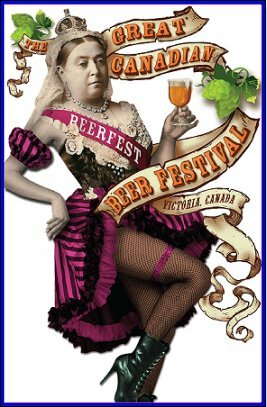 $40.00 for Friday or Saturday (includes tax) plus fees and includes: ~ Entry, taster glass, program and BC Transit Get Home Safe bus ticket. TOKENS: One token per tasting, $2.00 each. Available for purchase on-site, cash only.